To ensure your sprinkler system is running at full efficiency, PlumbersStock offers a wide variety of discount valves. One of the most overlooked and useful irrigation parts is the index valve. Browse through and research purchasing options, and if you feel like this is not the right valve for your needs you can find every kind of sprinkler valve here. For ultimate savings on plumbing and irrigation supply, PlumbersStock cannot be outdone. What Is an Indexing Valve? 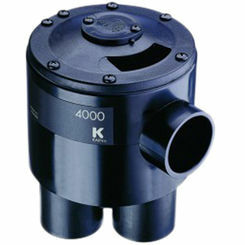 With a single unit, this valve can control multiple zones. 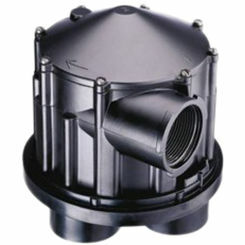 With one inlet, and numerous outlets its purpose is to rotate the direction of water supply through each channel. It utilizes “back pressure” to switch automatically the selected zone for watering. Indexing valves provide an economical way to control your irrigation system with automation. They are easy to install and maintain. With so many different features to consider, it can be difficult deciding which valve will give you the most “bang for your buck”. PlumbersStock carries affordable K-Rain indexing valves specifically because they offer the best technology when it comes to this type of valve. 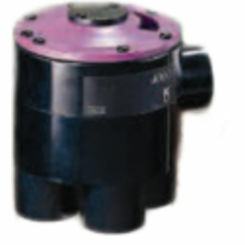 An indexing sprinkler valve typically offers between 2 and 6 outlet valves. You may even be able to find a valve with 8 outlets, but for most homeowners that is tremendous overkill. A new feature you can find on some units is a “zone indicator” that tells to which zone the valve will switch next. This is convenient so that you do not have to play guessing games. With the water shut off, simply press down on the zone indicator with whichever zone you would like to start. Some index valves come with an anti-siphon feature. These are strictly intended for above ground valves and it is essential that they are positioned half a foot above any drip line emitter. This may not work for you, so you may have to settle for one without this feature. The anti-siphon option is not the standard, so if that is what you require, be sure you get a model with this feature. Known for great manufacturing in all areas of irrigation supply, K-Rain has completely dominated the market when it comes to indexing valves. They have earned their market share by providing the most affordable and quality solutions for this specific part. Their patented hydraulic indexing functionality is what gives them the edge over competitors. K-Rain has created the most efficient and effective way to rotate automatically the flow of water from one channel to the next. If you have any trouble finding the best lawn/garden products for your yard, please contact our team of professional customer service agents. For your convenience, you may use the filters on the left of the page to refine the product results so that you can make side-by-side comparisons with valves that meet your criteria. PlumbersStock offers savings that are unmatched on the web. With quality parts from trusted manufacturers, our wholesale prices make us the easy choice. We offer fast shipping and great service.